The legacy of colonialism, residential schools and systemic racism has made access to post-secondary education full of social and economic barriers for Indigenous peoples. Access to education for Aboriginal people is a right enshrined through signed treaties and recognized in Canada’s Constitution. Despite the responsibility of government to ensure access to education, vast inaction and prohibitive bureaucracy has prevented many Aboriginal people from attending a college or university. Through the Aboriginal Students Constituency, the Federation researches policy options that address the underrepresentation of Indigenous students at colleges and universities. The Federation also conducts research to incorporate data on the effects of colonialism and systemic oppression on Indigenous communities as they pertain to equity issues and core campaign work. This work presents itself in materials and policy recommendations in the Students for Justice campaign, which works to ensure access and support of Indigenous students. Students who are able to access government funding and obtain a college or university degree become leaders in their field and continue on to provide meaningful contributions in their communities. Residential schools began in the 1870s, where they were government-funded, church-run institutions that Aboriginal children were forcibly sent to- much against their parents’ wishes. With over 130 schools operating, these institutions took on the educational, cultural and spiritual growth of Aboriginal children to reach the goal of eradicating Aboriginal language, culture and spirituality from generations of Canadians. The last school closed down as late as 1996. More than 150 000 First Nations, Métis and Inuit children were placed in residential schools and went through traumatic experiences of physical, sexual and emotional abuse. They were also violently prevented from speaking their language, living their cultural identities and engaging in their traditions and spirituality. Countless children died while in the custody of residential schools, and the survivors and their families continue to experience the ongoing and intergenerational effects to this day. 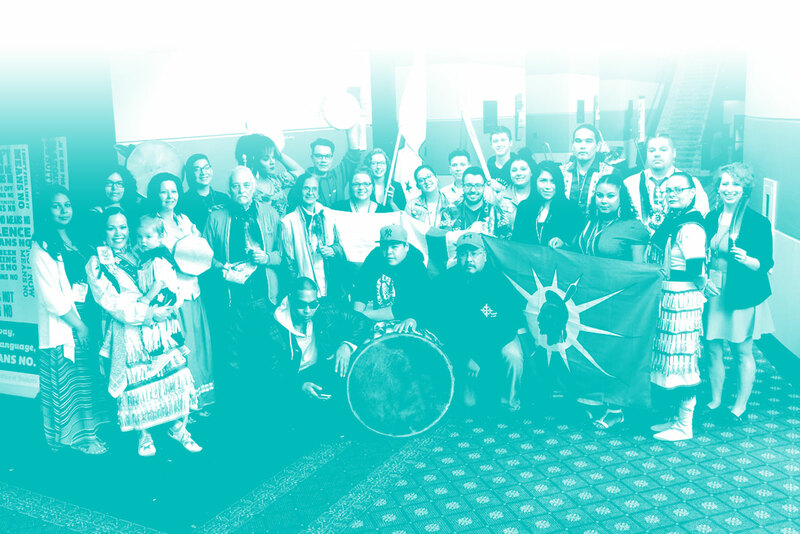 At the August 2015 Annual General Meeting, member local delegates of the Federation’s Ontario component voted to endorse the recommendations of the TRC and committed to educating their respective membership on Canada’s history of colonialism along with the TRC recommendations towards reconciliation. Keep checking this page in order to stay up to date on student efforts to support the TRC recommendations! In this page, the words Aboriginal and Indigenous are used interchangeable to reflect the language used by Amnesty International in their No More Stolen Sisters campaign. Colonization and racism has led to Aboriginal women experiencing violence at a rate three to four times higher than other women in Canada. RCMP reports from 2014 show that Aboriginal women are four times more likely to be murdered than non-Aboriginal women and that over one thousand Indigenous women and girls were murdered between 1980 and 2012. Despite these haunting statistics, the federal government has yet to establish a national plan of action to prevent these high rates and severity of violence faced by Indigenous women and girls. The Federation calls on the government to action in not only acknowledging our missing Aboriginal sisters, but also in ensuring that all cases of missing and murdered Aboriginal women are fully investigated. The Federation supports the recommendations of the Truth and Reconciliation Committee to hold a public inquiry into the issue of Missing and Murdered Indigenous Women and Girls. The Federation is also committed to raising awareness about Missing and Murdered Indigenous Women and Girls. Students voted to endorse Amnesty International’s No More Stolen Sisters campaign and are encouraged to bring this work to their campuses. 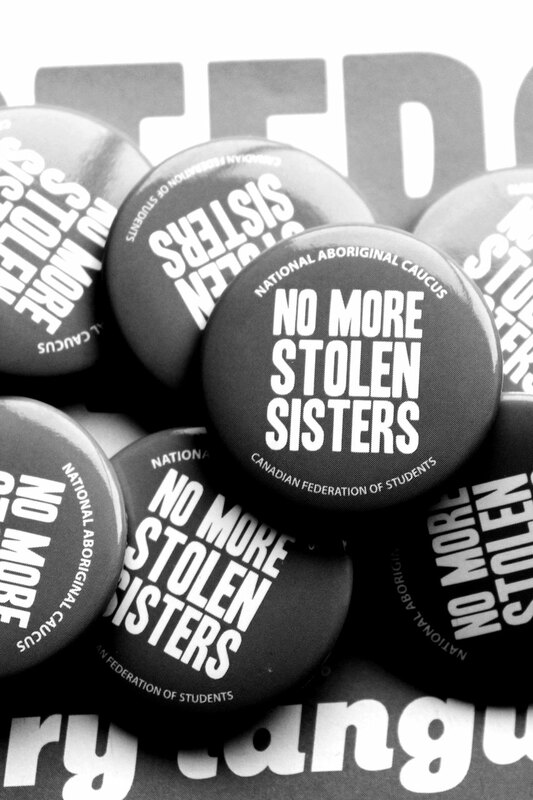 For more information, visit the No More Stolen Sisters page.